She was commonly known as Meta, and was born on 26 June 1896 at Caltowie Extension. Meta would have been Baptised, Confirmed and attended church with her Parents at the Appila Pine Creek Lutheran Church. She probably went to the Local Caltowie Extension School, but it is unknown for how long. After leaving school Meta helped her parents on the farm, but unfortunately the Family lost their youngest child and Mother in early 1908. Meta, with her older sister Hulda continued to look after their Father and brothers until the Father remarried in September 1909. 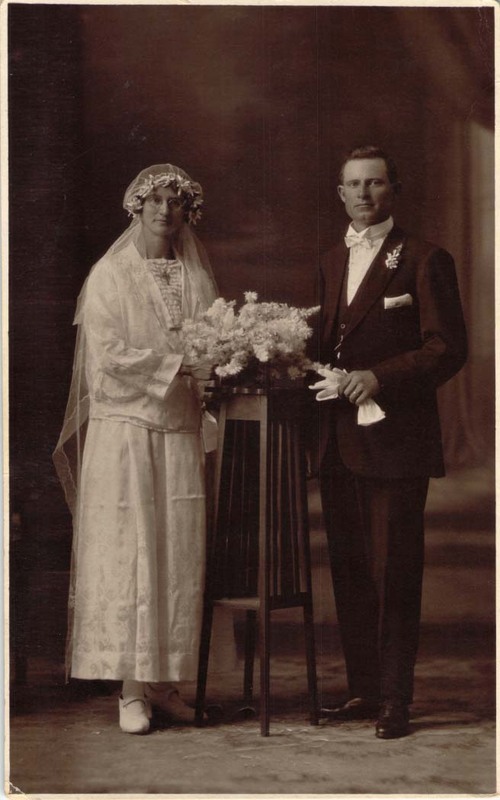 Unfortunately this did not work with the new wife, so the Father took the two girls to live with Aunties of the Becker family, Meta with Auntie Bertha & Uncle Paul Zwar in the Barossa Valley. Some time later when visiting Aunties in the Sandleton & Stonefield region, Meta met her future husband, Bert Saegenschnitter. They were married in the Sandleton Lutheran Church on February 18th. 1925. The couple lived with Bert’s Father, and later the home had to be enlarged to cope with the growing family that included nine children. After the death of Bert’s father, Meta & Bert continued to operate the farm, right up to their deaths, Bert dying in 1957 & Meta followed in 1964. Both are buried in the Sandleton cemetery. They had a family of nine boys. Their farm is still in the hands of their descendants. 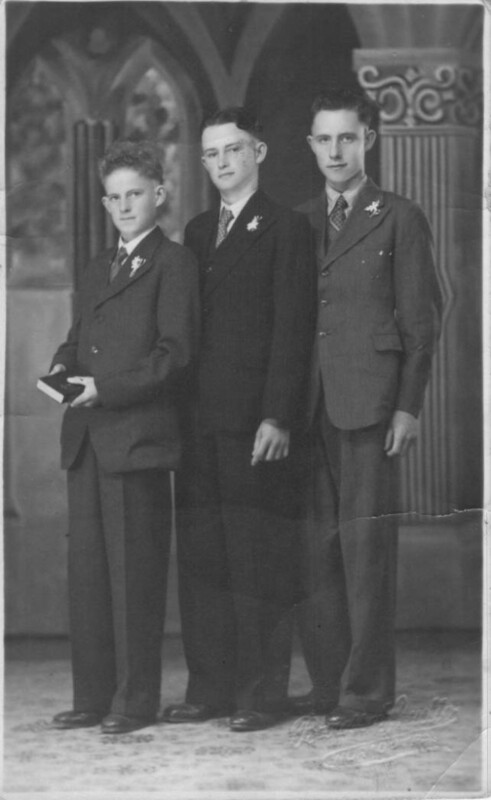 Three sons, Les, Colin and Eric Saegenschnitter on their confirmation day 1940 at Sandleton. their ninth child, Ronald Kevin Saegenschnitter, born 27th June 1936 at Sandleton, and died on 1st March 1937 (Buried in the Sandleton cemetery).